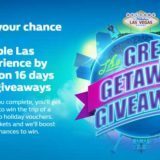 Win a prize trip to Las Vegas in the latest William Hill promotion. 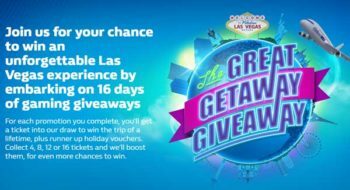 First prize of a Weekend prize trip to Las Vegas for 4 people, which includes 3 nights in a 5* Hotel and a Nascar Driving Experience. 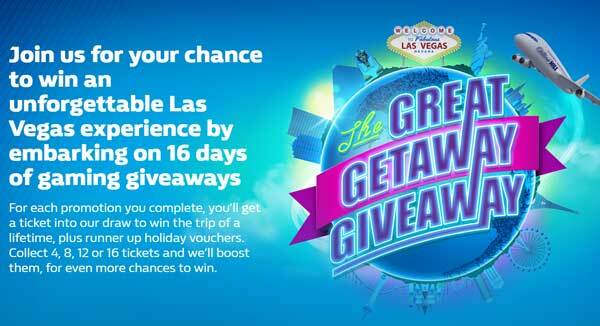 There are 16 other prizes of £250 in holiday vouchers that can be exchanged for a cash value. The promotion runs over 16 days, from Tuesday 27th June 2017 until 23:59:59 on the 12th July 2017. Each day a new promotion is unlocked. When you play in each promotion you’ll get 1 ticket for the prize draw. The more promotions you play in the more tickets you get. If you participate in 4 promotions – the number of tickets you have will be doubled (x2). 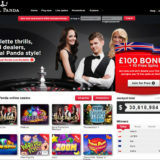 Play in 8 promotions and your tickets will be trebled (x3). 12 promotions and your tickets will be quadrupled (x4). If you play in all 16 then your tickets will be quintupled (x5). To qualify you must Opt-In to the promotion on the promotion page. Winners will be selected using a Randon Number Generator. 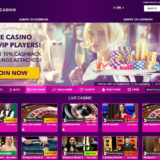 During the 16 days, there are 4 Live Casino Promotions. 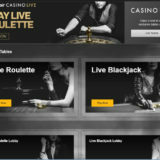 Day 5 – 1st July is at the Macau Roulette table. Day 10 – 6th July is at the Mayfair Roulette table. Day 12 – 8th July is at the Vegas Blackjack tables. Day 15 – 11th July is at the Vegas Ultimate Texas Hold’em table.